There are many rewarding chemistry careers “off the beaten track” of well-known job areas such as R&D, sales, and business management. These careers tap specific chemical knowledge as well as skills many chemists learn such as critical thinking, creative problem solving and decision making. Two I will discuss today are Supply Chain Manager and Contract Manager. The manufacture of products based on chemicals involves a series of transfers from suppliers to customers. For example, one company produces natural gas (ethane). It is transported by pipeline to a plant where it is converted to ethylene. It may be further converted to polyethylene pellets on site or transported by another pipeline to another plant for this conversion. The resulting pellets are transported by railcar to customers who mold the polyethylene into various objects. Often other substances are added to the pellets to provide desired physical properties. The objects fabricated from polyethylene are used in a wide variety of products ranging from bottles to toys to machine parts. Each chemical transformation of material: from natural gas to ethylene to polyethylene pellets to molded object is part of the supply chain. These material transfers may occur within one company or from one company to another. Often the chemical materials being transported are corrosive, air-sensitive or toxic. The containers used to store or transport them by pipeline, railcar, or tank truck must be durable, without leaks, and resistant to corrosion by the materials they carry. It is the responsibility of the Supply Chain Manager to be sure that this is the case. The Supply Chain Manager is also responsible for the safe and timely transport of materials from one location to another. Supply Chain Managers must assure that the customer both does not run out of supplies requiring a costly plant shutdown or have an over-accumulation of supplies requiring materials to be stored in railcars until tankage becomes available. An interruption at any point in the supply chain, such as the one which occurred after the 2011 Fukushima, Japan tsunami; shutting down many plants in Japan. This disturbance in the chain can shut down plants in the U.S. and elsewhere that depend on timely delivery of chemical products and other items from distant production plants, having a catastrophic impact on supply and demand. Plants were shut down and people temporarily found themselves unemployed thousands of miles from Japan because of the disruption. Supply Chain Managers work with government regulation specialists to assure government safety and labeling regulations are met. They also work with ship owners, railroad and trucking companies to ensure suitable ships, railcars and tanker trucks are available in the proper locations when needed to transport materials. The 2011 median salary for a typical U.S. supply chain manager is $94,223 according to slalary.com using data collected from many employers across the U.S. in a variety of industries. The Institute of Supply Chain Management is the professional association for supply chain managers and offers professional certification to its members. types of R&D contracts such as outsourcing and other types of cooperation. Contract Managers’ responsibilities can include drafting, evaluation, and negotiation of contracts followed by monitoring their execution and compliance of all parties to the terms of each contract. They often act as the contact between their own organizations and those having contracts with their employer. They maintain records of all contract correspondence, status reports and other documents relating to contracts. They monitor compliance with the terms of contracts and may become involved in discussions when disagreements arise. In the case of R&D contracts, these activities may require interacting with R&D project managers and intellectual property attorneys. The primary professional organization for contract managers is the National Contract Managers Association (NCMA). The results of NCMA surveys indicate that 56% of Contract Managers are women. The seniority and importance of contract managers may be indicated by their median age of survey respondents, 49 years. According to Indeed.com, their 2012 annual average salary is $80,000. Most NCMA survey respondents work for or with the government with 56% working for government contractors plus 23% working directly for the federal government and 3% working for state or local government agencies. Another 9% are in commercial businesses. The remainder work in academia or as consultants. About 47% work for large government or private sector organizations with annual revenues or budgets exceeding $501 million. Traditional science writers work full-time for newspapers, magazines or associations such as the American Chemical Society (ACS). However, these days print publications are employing fewer full-time science writers. Many people blog about science but relatively few earn enough to depend on blog earnings as their primary source of income. Science writing is increasingly becoming a part-time and even unpaid profession. Therefore, one should be well aware of these trends before committing to science writing as a full-time occupation. An increasing fraction of science writers are self-employed contractors. Besides writing for magazines, newspapers and websites for these publications, they may also write for companies needing writing services. For example, as a freelance science writer, I have written confidential internal documents for oil companies, oilfield service companies, chemical companies and consumer products companies. Often these “white papers” are proprietary in that the information is confidential and the exclusive property of the organization that commissioned the work. Many magazines, newspapers and websites hold exclusive rights to articles they commission freelance writers to write. So if one writes a document or article, he/she often cannot sell it to more than one organization. Being self-employed, freelance writers usually do not receive health benefits from the organizations that commission them to write articles. Freelance writers also have to make their own provisions for Social Security Administration payments and other retirement income. Monthly income can vary from month to month depending on the writer’s success in being commissioned to write science articles. Many freelance writers write on a part-time basis in addition to holding a full-time job. Some write solely for the enjoyment of writing about science and not for money. Some science writers work for agencies. Companies and other organizations approach these agencies when they need writers to prepare documents on specific subjects. These agencies maintain files and recommend writers to organizations needing them. In return for this service, the agency receives a percentage of the writing fee from the hiring organization. Often the agency manages issues such as paying the writer’s income taxes and Social Security fees from his/her income before sending the writer a check. The National Association of Science Writers (http://nasw.org) is the professional organization for science writers and includes both writers working full-time and freelance writers who work for various clients as they receive assignments to write various documents. Technical writers are often put in a separate category from science writers. Many technical writers work for the information technology industry either as professionals employed full-time or as freelancers. They often write operating instructions for IT products such as computers, cell phones and software. This usually pays more than science writing. The relevant professional organization is the Society for Technical Communication (http://stc.org). Many writers are both science writers and technical writers. Some cover other subjects as well. For example, I write job-hunting and career management articles customized for scientists and engineers that are published as ACS Career Blogs (http://acs.org/careers). Finding gripping article ideas that will interest many readers is no problem. Many news services publish press releases on new developments in science and medicine from universities, companies, government agencies and conferences. My favorite is Eurekalert.org published daily by the American Association for the Advancement of Science. Another site publishing many European science press releases is AlphaGalileo.org. Many universities publish press releases based on discoveries made in their science departments and labs. The federal government’s national laboratories publish press releases about discoveries their scientists make. Many scientific organizations such as the American Chemical Society also publish press releases as well as trade organizations such as the Technical Association of the Pulp & Paper Industry. Incidentally, science writers prepare these press releases. While some are freelancers, most are full-time employees working for organizations such as the ACS. As you progress in your career, you’re going to need more advice than you can get from a single mentor. Just as businesses have boards of directors to provide expert advice on various aspects of the firm’s operations, individuals can develop their own board of directors to provide advice on various aspects of their careers. A single mentor may not be able to provide expert advice on all aspects of your career. For instance, your former Ph.D. thesis advisor can be a wise source of good advice in some areas but lack the needed expertise to advise you about working with your firm’s customers on technical service projects. Thus different individuals can be the best source of advice on the different aspects of your career. Members of your board can help you become more self-aware – particularly of your own strengths and weaknesses. So how can you establish your own board of directors? Use networking to develop relationships with individuals who can provide you with the advice you need to advance your career in different areas such as scientific knowledge, leadership competence, decision-making skills, etc. They are people who embody the core values and standards you aspire to live up to. The individuals you choose should be people you trust who don’t see you as a competitor. Chemists who do not recognize their own weaknesses jeopardize their chances for scientific success and professional advancement. Mentors and your own board of directors can call these weaknesses to your attention and help you develop plans to overcome them. For example, early in my career I had no idea that, in my zeal to get things done, I was brusque with coworkers often leaving them resentful after work-related discussions. One of the members of my informal board of directors, after waiting for me to recognize this fault in my workplace behavior, finally spoke up and advised me to “lighten up” before some of my coworkers became reluctant to work with me. Later, another advised me to be careful of my tendency to micromanage and I did so before this became a problem in my workplace. Earlier in my career, another advised me not to neglect my personal life and try to achieve a better work life balance. Take the initiative in seeking the advice of your board of directors; don’t wait for them to come to you with suggestions for improvement. Instead, ask them how you can improve. Choose the members of your board who have the most expertise in the areas in which you decide you need assistance. Establish credibility by acting on their advice even if you don’t like what you hear. For example, it was a rude awakening to learn early in my career that my coworkers considered me to be overly assertive and unappreciative of their efforts. I took the advice of members of my board of directors and toned done my behavior and made sure to let them know I valued their efforts. This behavior spread into my personal life improving my relationships with friends and family members. Career derailment occurs when high potential managers expected to advance in their organizations fail to do so. Career derailment is more often caused by an individual’s workplace behaviors than a lack of technical skills. Members of your board of directors can help you recognize if your own workplace behaviors are increasing your risk of career derailment and provide advice to keep your career on track. Where Do You Want To Go From Here, Really? I spend a lot of time talking to scientists about their careers, and how they can move their professional lives forward. Usually, they start off by asking me to help them find a new job. It is surprising how fast it becomes apparent that some people know what job they want but don’t know how to find it, some have unreasonable expectations about their professional options, and a few have no idea what they want to do – or even what the possibilities are. Recently I spent some time talking to a graduate student who was about to finish her Ph.D., and was trying to figure out what to do next. She started the conversation by telling me she couldn’t move geographically for family reasons, and spent a long time talking about the lack of industrial opportunities within a reasonable distance of her home. She then went on to tell me that since she had worked in industry for a time before graduate school, she knew what it was like to work there, and she had not enjoyed it. She wistfully said she was not looking forward to going back into industry, even if she could find something in her location. The conversation then shifted to careers in education. She really didn’t want to take a post-doctoral position, mainly because she didn’t really enjoy bench chemistry. It was at this point that she realized she liked thinking about chemistry, and talking about science, however she really did not like hands-on chemistry at all. She was actively dreading a career where she would spend most of her time at the bench, which is what she had been searching for. No wonder she was not excited about her job search, or making little progress! Over the years, I have talked to many students (and recent graduates) who are in the same position. Usually, they get excited about chemistry by a great teacher in in high school or college, and maybe even advance to graduate school as a way to get more deeply involved in the field, and do some real hands-on scientific research. Over time, they slowly realized that research isn’t what they thought it was going to be. They either don’t like hands-on science; they aren’t good at it, or both. In an undergraduate chemistry class, the lab work is very straight-forward and predictable. The “experiment” you are doing in your lab has been done hundreds, or even thousands of times, and the only real variable is your ability to manipulate the ingredients. However, when you get to graduate school, you are doing things no one has ever done before, and have to figure out not only how to do them, but why the first ten ways you tried didn’t work (it’s called re-search for a reason). It’s a very different way of working, and thinking, and not everyone is suited for it. Unfortunately, by the time most people discover this, they are well into their graduate training, surrounded by people who enjoy research, and can’t imagine wanting to do anything else. It can be very hard to stand up and be different – to say “I don’t want to do this anymore”. The longer you stay in research, the harder it becomes to leave, since you don’t want to feel as if you have wasted all that time and training. This is exactly the situation this student I was talking to found herself in. She was far enough along that she was going to earn her Ph.D., but had been convinced by her fellow graduate students that anything other than a bench position in industry was unacceptable, even though more time would be spent doing something she did not really enjoy. Once she was able to admit that she didn’t want a position at the bench, I started asking her about what aspects of her current and past jobs she did enjoy, what was important to her, and what really mattered to her. Within a surprisingly short period of time, she was able to identify several possible career paths that would take advantage of her chemistry background and indulge her passions, without requiring hands-on chemistry. She was excited and energized about exploring them, and looking forward to, instead of dreading, the next phase of her career. In fact, she had started researching them before we got off the phone – and this was research she really was passionate about! This article was written by Lisa M. Balbes, Ph.D. of Balbes Consultants LLC. Lisa is a freelance technical writer/editor and author of: “Nontraditional Careers for Chemists: New Formulas for Chemistry Careers,” published by Oxford University Press (2006). Do You Know How To Deal With Deadlines? 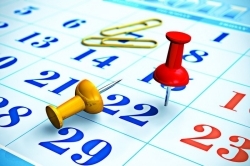 Every job has deadlines – certain dates and or times by which tasks must be accomplished. We each handle deadlines in our own way – some start work well ahead of time, while others prefer the “just in time” mode. Some people create milestones (mini-deadlines) along the way, to keep themselves on track. How you handle deadlines, and if you meet or miss them, is a big part of your professional reputation, and greatly affects how your co-workers think of you. Making sure you are responsive, and responsible, to your projects’ deadlines can go a long way toward advancing your career and making your team function more smoothly. Every project or task you are responsible for comes with at least an implicit deadline. Especially if it’s an important project, you want to ask questions and make sure you know exactly what and when results are expected of you. If the deadline appears unrealistic, ask questions to make sure you understand the true scope of the assignment. In some cases, you may need to re-negotiate the resources (time, materials and personnel) assigned to the task in order to make the deadline realistic. In some cases, “by close of business (COB) today” really means “on my desk when I arrive in the morning”. In other cases, it means “must be completed and entered by 4:45 EST tonight” or “I’d like to see it sometime this week”. Different companies, managers, and even different projects have different cultures, so make sure you know what the deadline really is. You need to understand the dependencies between your tasks and other tasks on the same project. Are there other people or projects who cannot move forward until your tasks are completed? Or are you working in parallel, so if something happens to hold up your piece, the overall project can still proceed in a timely fashion? Obviously if others are waiting on you, meeting the deadline becomes critical. If you are not going to be able to meet the deadline, should you trim part of the project and submit 80% on time, or continue working and turn in a perfect result late? As soon as you anticipate a problem meeting the deadline you need to start thinking about contingency plans. The earlier you discuss contingencies, the better you will be able to focus your efforts, and the more time co-workers will have to adjust their expectations. Rarely will you be working on only one project, with only one upcoming deliverable or deadline. (And even if you are, you probably want to break it down into smaller pieces, each with their own deadlines.) Making sure each project is moving forward, and will meet its own deadline is essential. In the end, deadlines can be useful tools to help prioritize work and keep it moving forward. Tracking and meeting all your deadlines, will enhance your professional reputation as reliable and dependable – and set you up for new career opportunities. You are currently browsing the ACS Careers Blog blog archives for October, 2012.